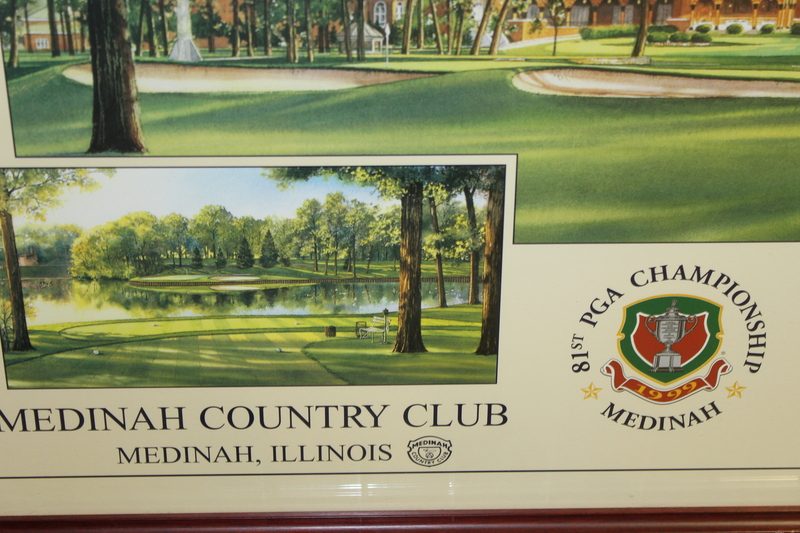 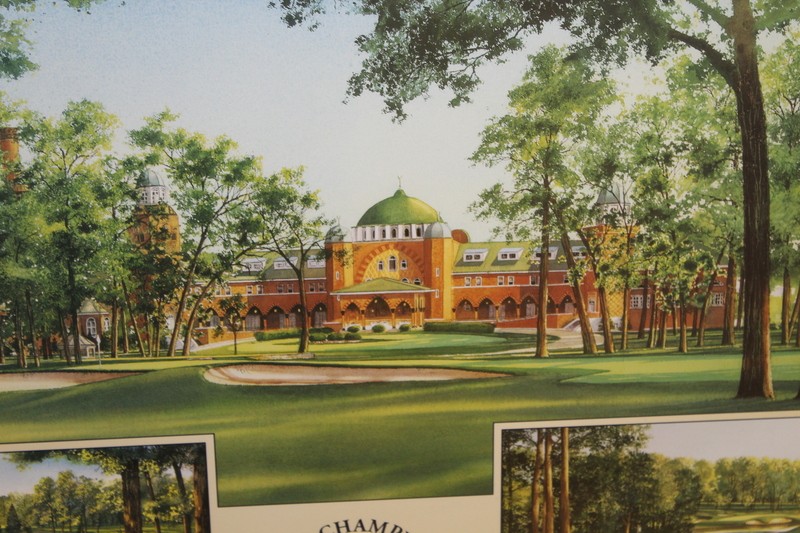 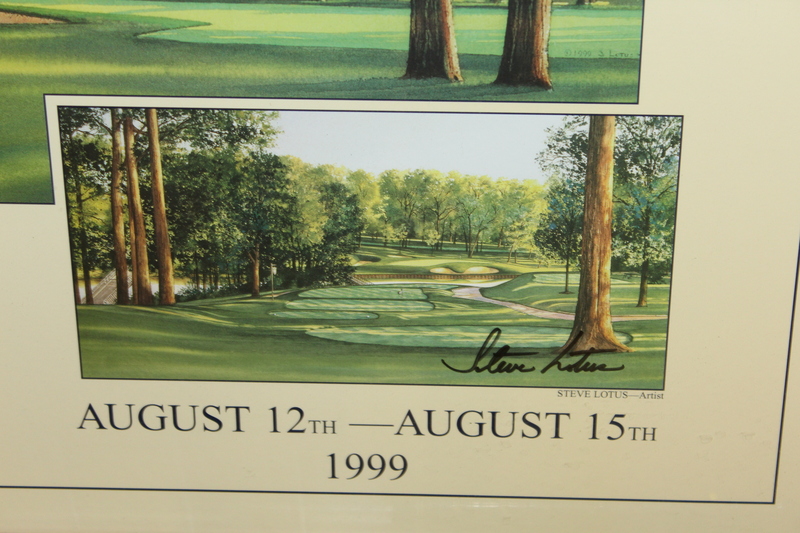 Here we have a framed Steve Lotus 1999 PGA Championship at Medinah poster. 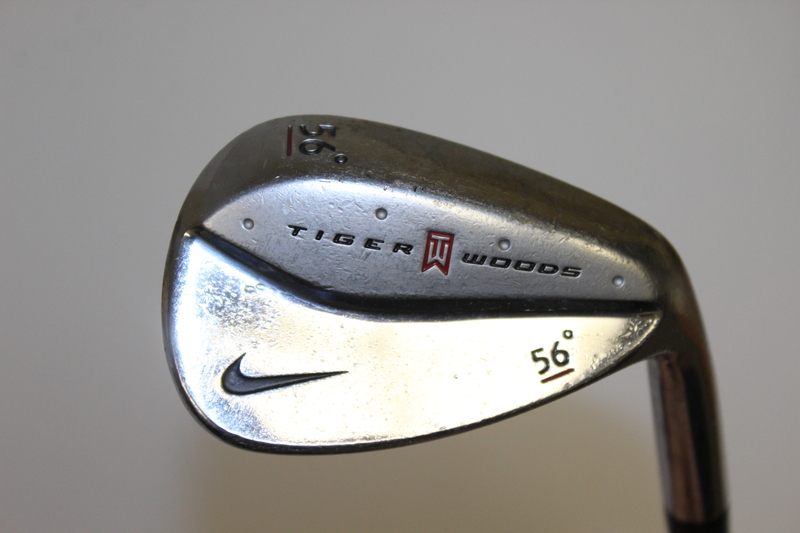 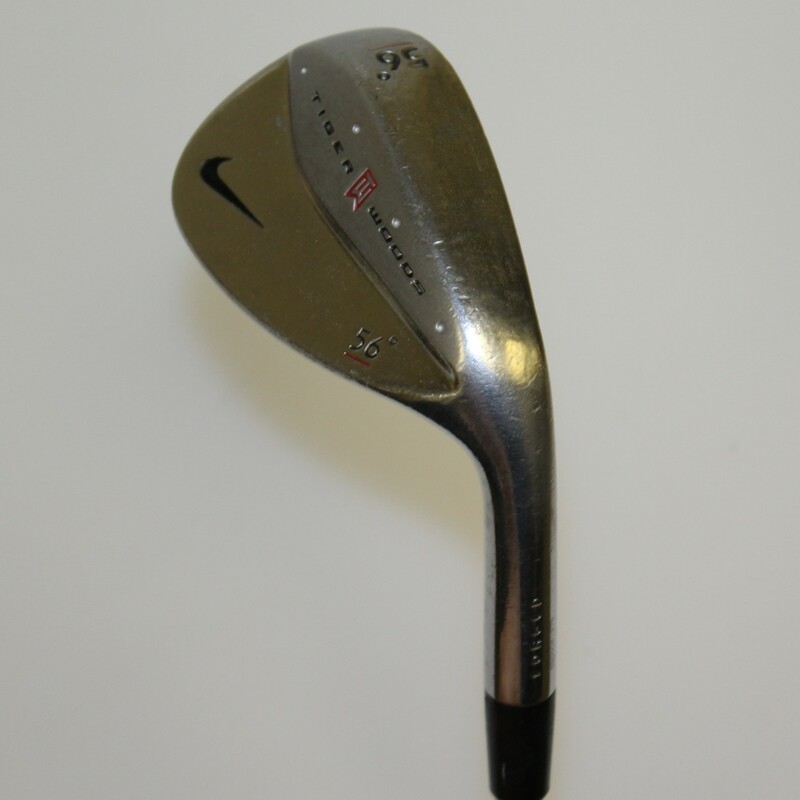 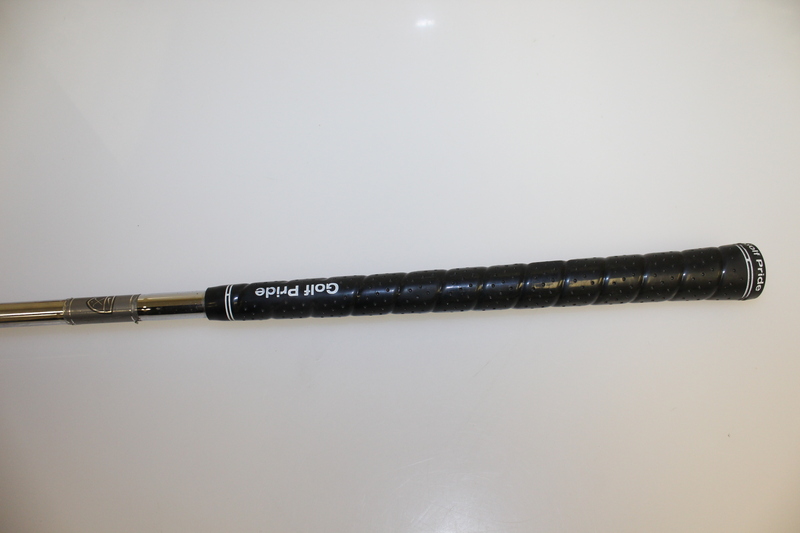 It comes in great condition and is accompanied by a signature Tiger Woods Nike golf wedge. 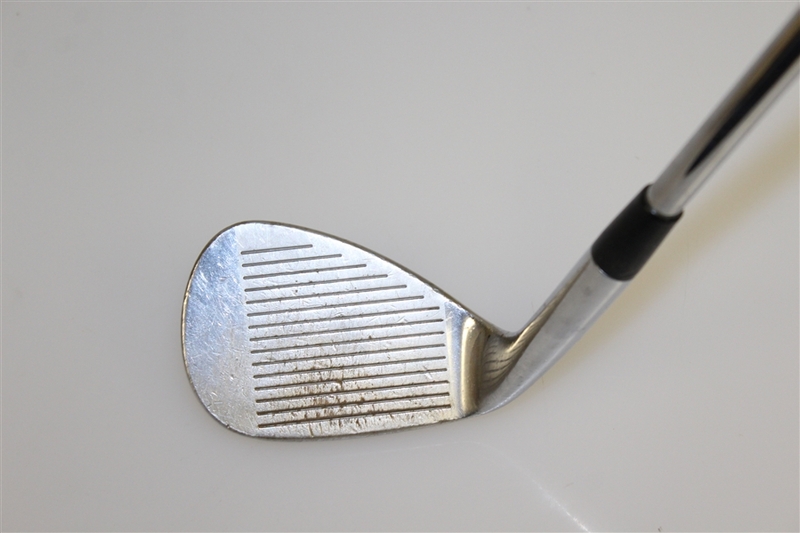 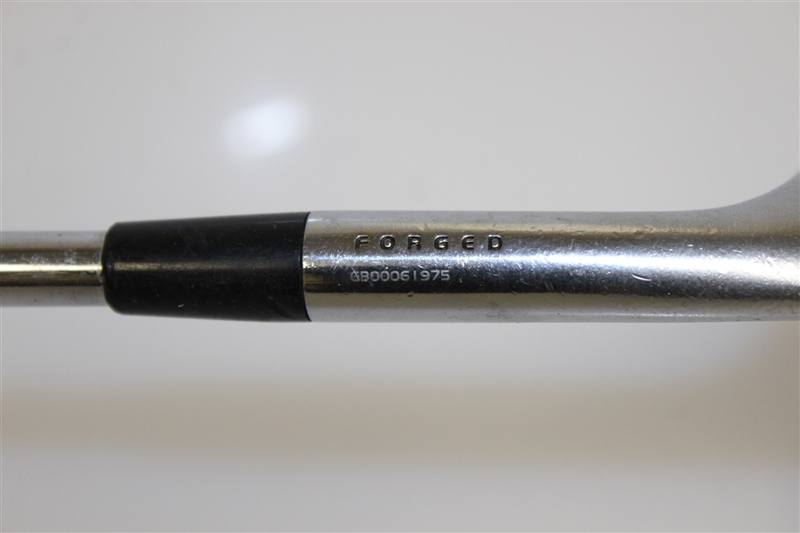 the wedge shows slight wear from use, though still presentable. Tiger would do just enough at the 1999 PGA Championship at Medinah to hold off a 19-year old promising golfer, Sergio Garcia, by a single stroke. 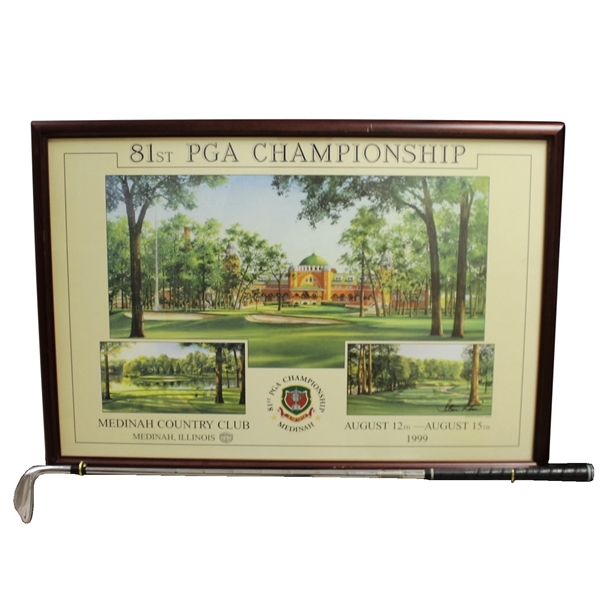 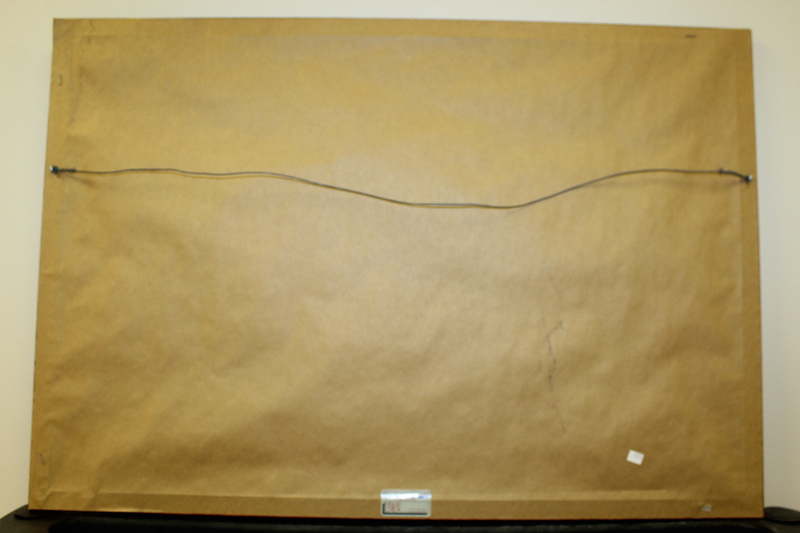 The framed piece measures 22 1/4" x 32 1/4".